A few months ago, after Ashley asked me to join her in co-editing The Post Graduate Blog, one of our first brainstorming sessions happened to be over cups of coffee at Maman. It seemed only fitting that I spotlight Maman’s location on Centre Street considering how it served as a crucial setting for how this blog came together. 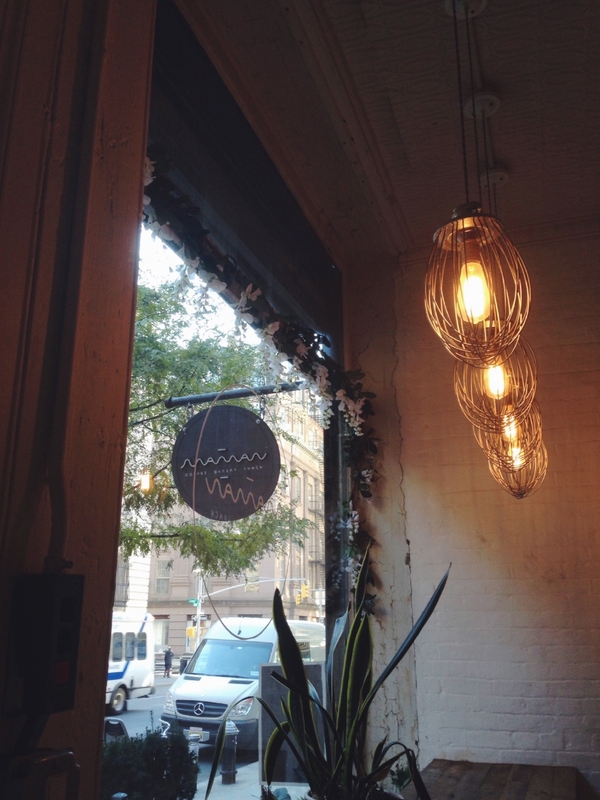 As soon as you enter the doors of Maman’s SoHo/Nolita location, you will immediately feel how welcoming and homey it is. The first thing I always notice is the smell; the coffee bar is situated right in front of the pastry kitchen and the air is full of a combination of warm bread, cinnamon, and sugar. 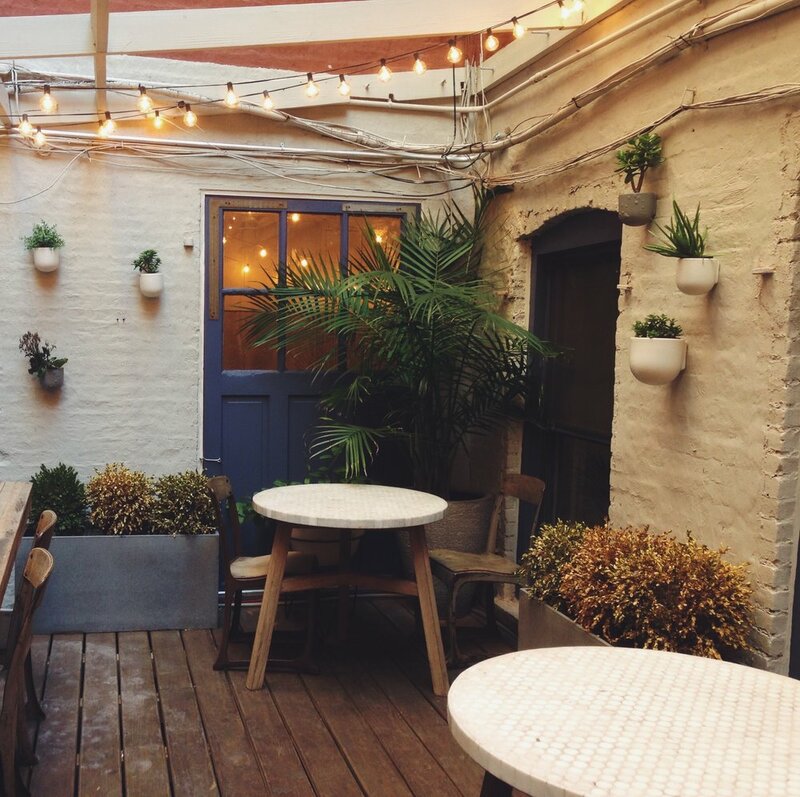 The décor is very rustic, with scrub wooden surfaces, warm lighting, blue porcelain serving dishes and teacups, and lush plants in almost every corner. They use Toby’s Estate roast coffee, which can be a little too bitter for my taste at times, but is still very luscious when made by a really good barista. They are one of the only coffee places I’m aware of that has a lavender latte on their menu, and it is definitely something that I still have to try. The café is only one component of the larger Maman enterprise, and you can see all three in the Centre Street location. The coffeeshop has its own entrance at 239 Centre Street, while one door down at 237 Centre Street is Marché Maman and the sit-down restaurant. As a chatty member of staff relayed to me, Maman was founded by three émigrés from the south of France (one of which is a Michelin star chef who runs the restaurant) who wanted to create a space to combine their shared passions: coffee, French-inspired cuisine, and the craftsmanship of local French artisans. The result is the cross of boulangerie, café, and boutique. Even though it’s the very end of November, the temperature couldn’t stop me from enjoying the back courtyard, which is one of my favorite parts of the Centre Street location. The call it Jardin de Maman, and it is strung with lights, and in the summer has wisteria blooming up the lattices. 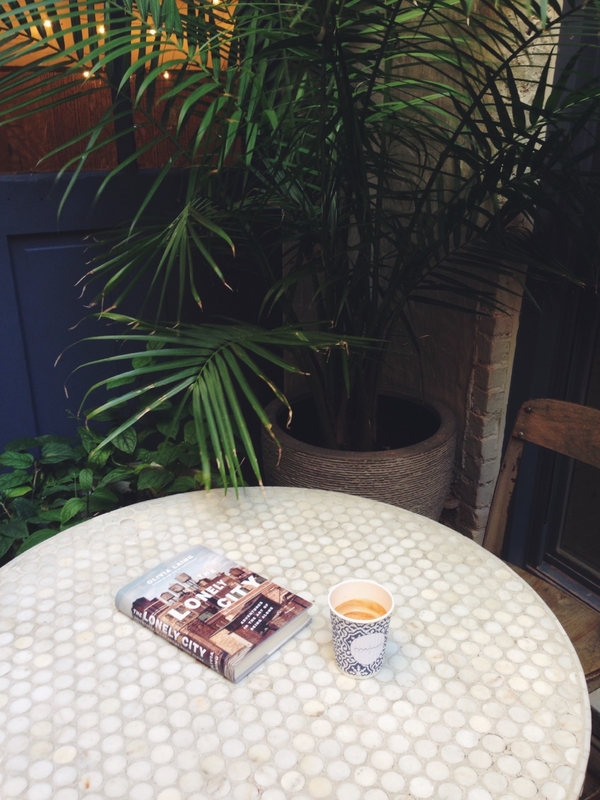 In the summer it’s a great place to sip iced coffee and pour over a book. · they also have locations in Toronto and Paris!